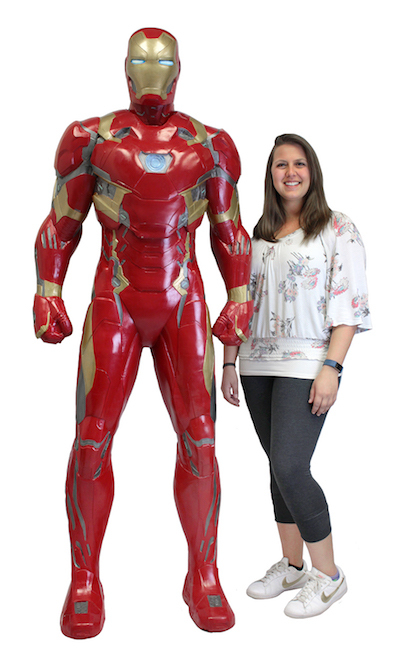 This imposing life-size foam figure of Iron Man from Marvel Studios’ Captain America: Civil War will stand guard in any room, from home to office to retail environments! Iron Man stands 6’5″ tall. 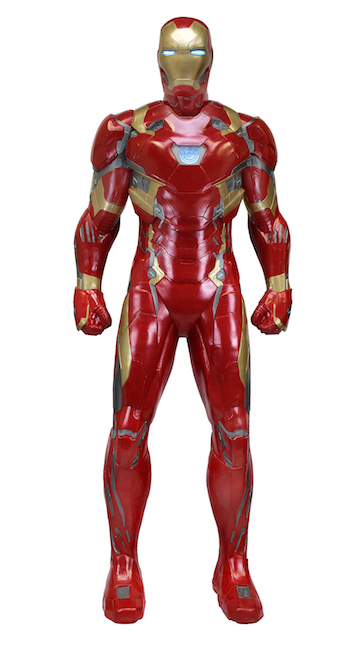 The figure is made of foam rubber and latex that’s carefully hand-painted for realistic detail. Very simple assembly required; assembly and care instructions included.